Bringing together amazing versatility, outstanding performance and unmatched dependability, the Seagate BarraCuda 3.5" internal hard drives provide an ideal solution for desktop or desktop-related storage. 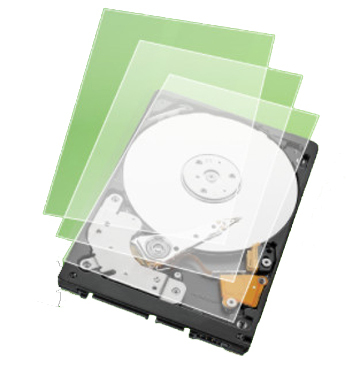 Versatile HDDs for all your computing needs bring you industry-leading excellence in personal computing. 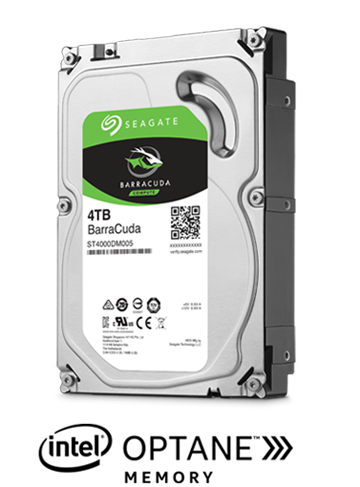 Versatile and dependable, Seagate's BarraCuda drives are inspired by the past but ready for the future. BarraCuda drives are a cost-effective way to handle all your computing needs - working, playing storing your movies and music, and more. 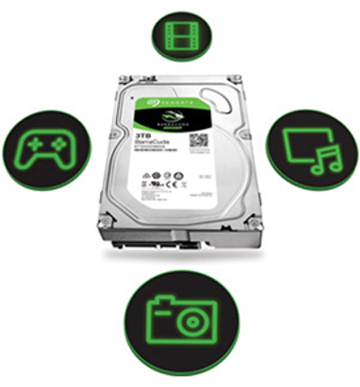 Seagate Secure models3 provide Self-Encrypting Drive (SED) hardware-based data security and deliver an Instant Secure Erase feature for safe, fast and easy drive retirement. They meet NIST 800-88 media sanitization specifications and also support the Trusted Computer Group (TCG) Opal standard3,5.